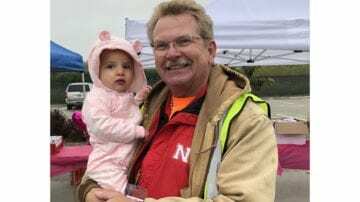 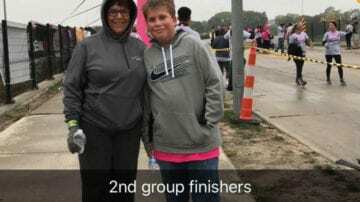 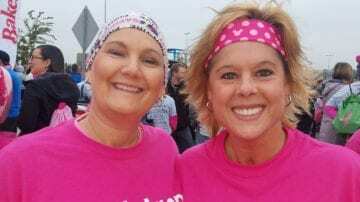 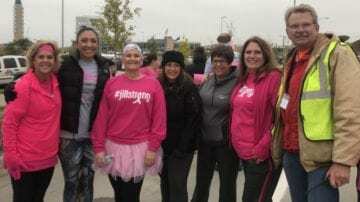 Schemmer Participates in Race for the Cure! 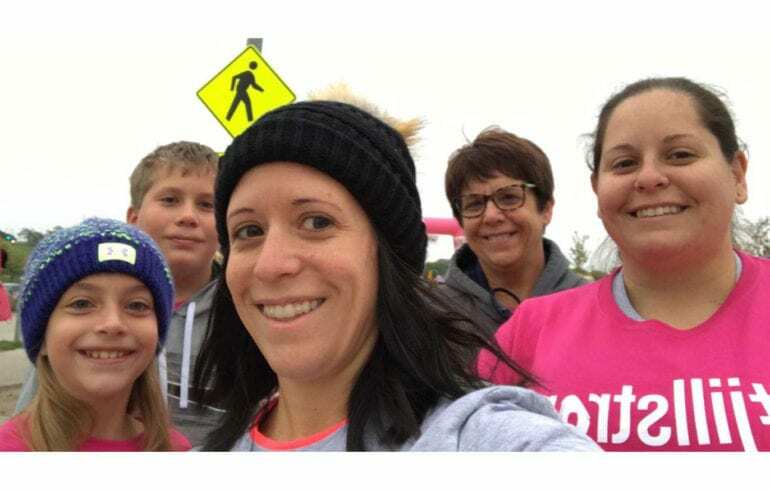 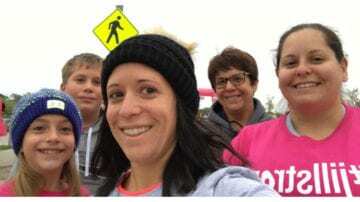 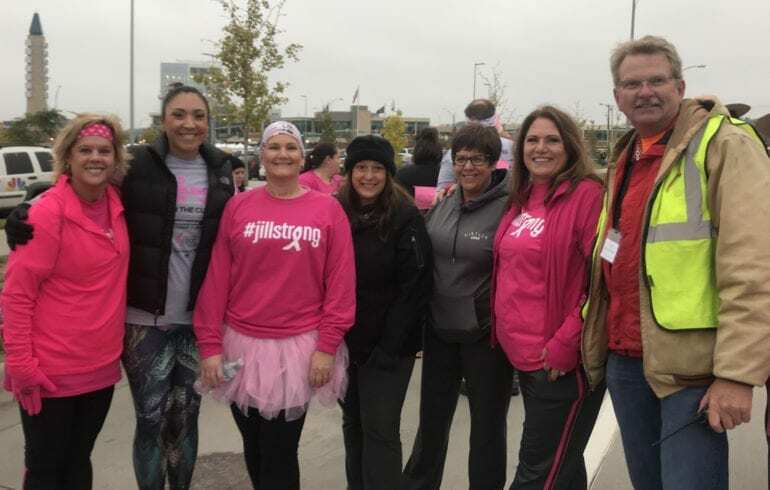 Schemmer employees walked in support of coworker Jill Laferriere on Sunday, October 7, at the Komen Race for the Cure at Aksarben Village in Omaha. 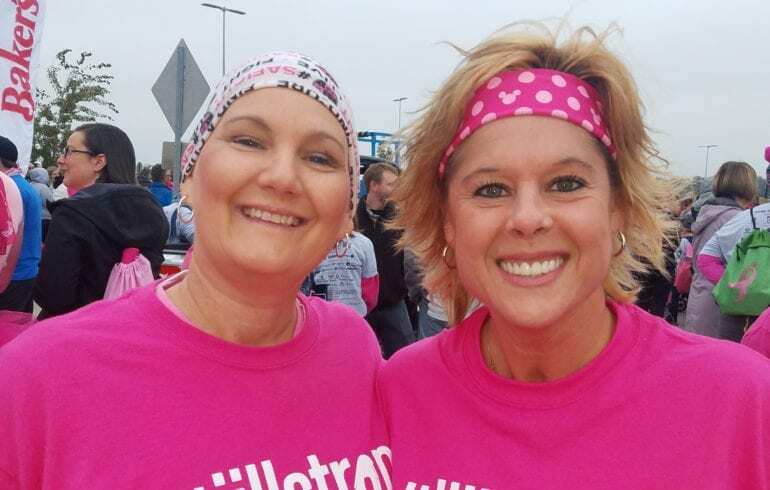 Jill was diagnosed with breast cancer in March and has been undergoing treatment for the past several months. 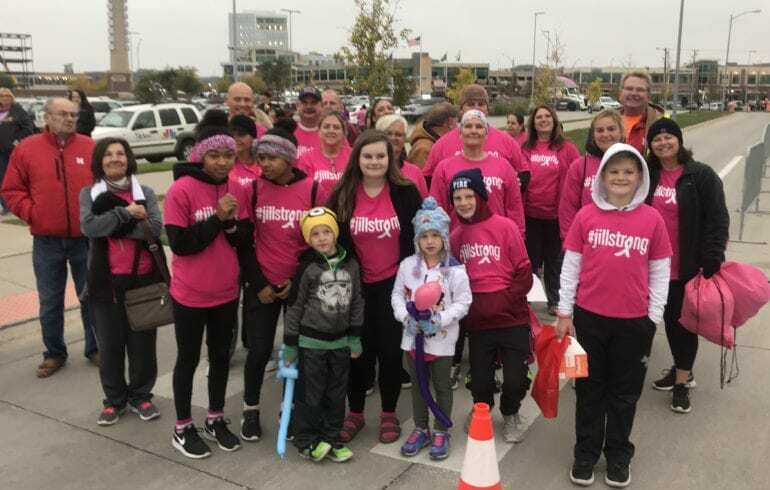 A BIG thanks to all of the Schemmer employees and their family/friends who helped, donated time and/or participated to assist Komen Great Plains as well. 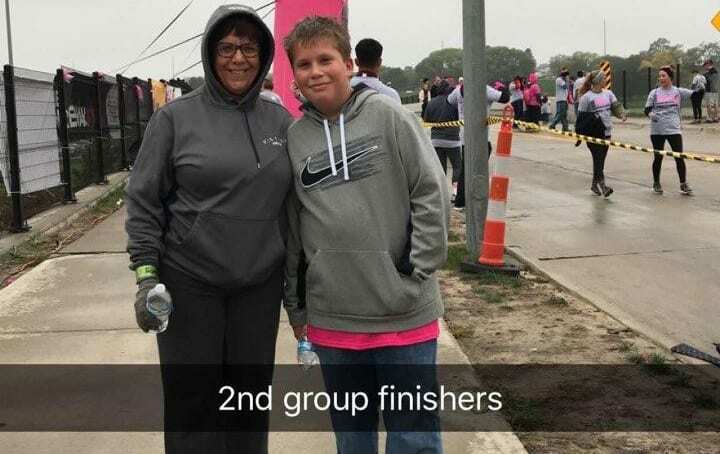 The Schemmer crew provided set up and tear down of the tables, chairs and tents for outdoor water stations on the course, the fruit and water station at the finish line, the outdoor activities in Lot 25 including children's activities and VIP activities, and the large inflatable starting line arch. 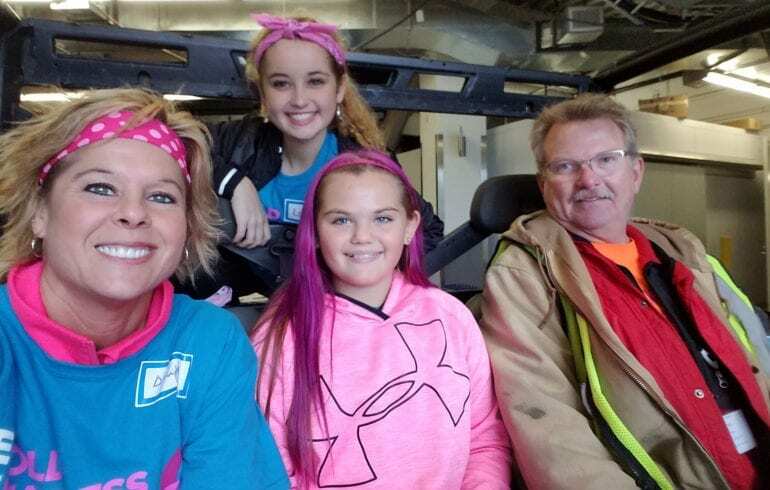 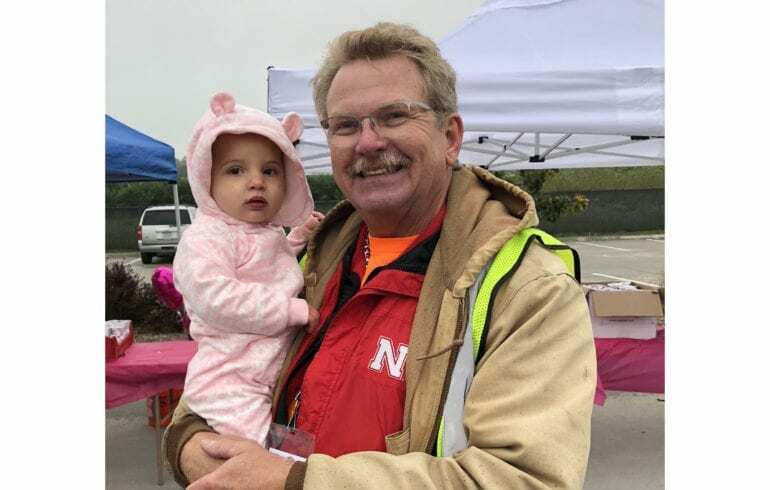 Schemmer volunteers included Loras Klostermann (Komen Outdoor Race Coordinator), his wife Janet, daughter Jen (starting gun operator) and son-in-law Bob Kanne and granddaughters Nora and Celia; Dawn Kirchert and daughters Lexi and Lily; Tony Bruckner and wife Deana; and Ray Flock. 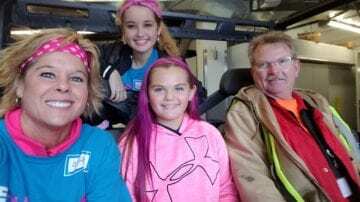 These volunteers not only donated their personal time, but some also donated the use of their personal vehicles to move materials across the race course. 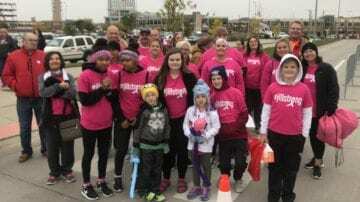 Everyone worked hard and safely to perform these activities and their time and energy are greatly appreciated.